Climate change research has often been critiqued for focussing on abstract impacts far into the future that are not perceived and understood in the context of daily life. 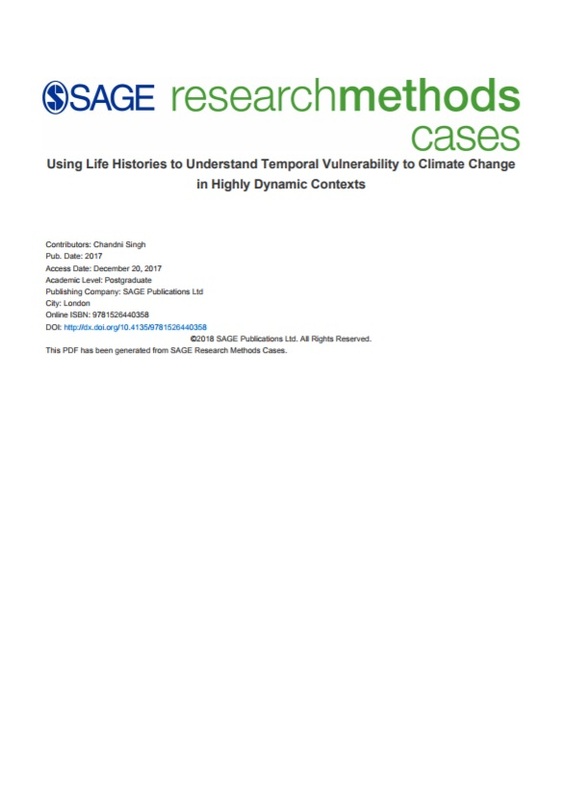 This case proposes the use of life history interviewing as a methodological approach to study how people perceive and negotiate multiple risks to their lives and livelihoods (one of which may be climate variability) in highly dynamic contexts such as dryland areas. The case examines vulnerability to climate change (among other risks) at household and intrahousehold levels to uncover how personal attributes such as caste, age, and gender, as well as contextual factors such as reduced natural resources and socio-political trajectories shape people’s daily lives, their livelihood choices, and aspirations for the future.